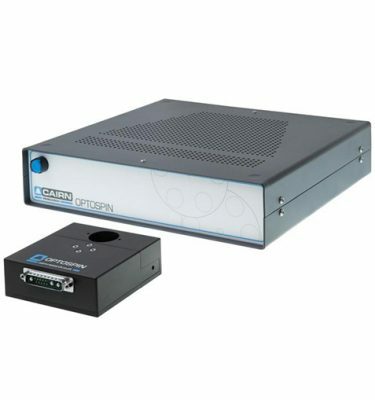 The Cairn OptoSplit II emission image splitter is a simple device enabling a single camera to record images simultaneously at two different optical wavelengths, polarisation states or other differentiated states. 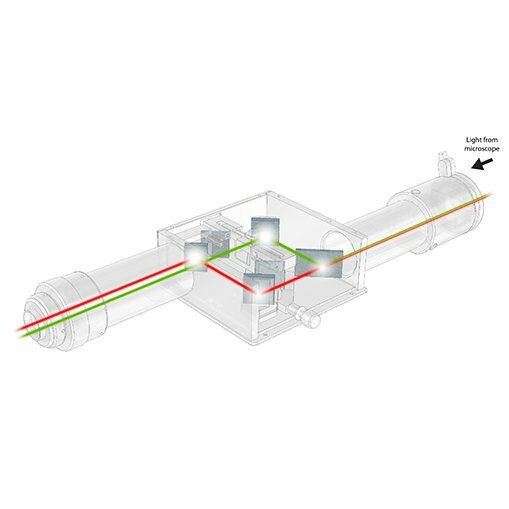 Traditionally, dual channel imaging is performed using an electronic filter changer or an additional camera and beamsplitter, neither of which is ideal for all applications. The switching speed of an electronic filter changer limits the temporal resolution, whereas a second camera adds cost and complexity. 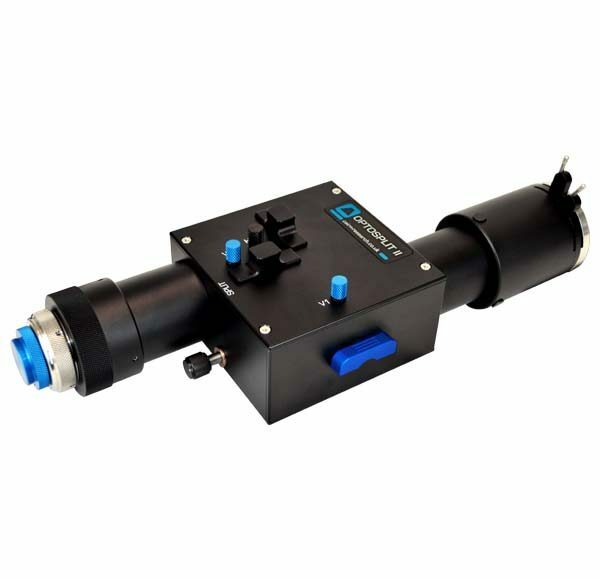 The OptoSplit uses a unique rotating mirror cradle, which gives adjustable spatial separation, to ensure excellent image registration and features a fully adjustable rectangular aperture to enable cropped sensor imaging modes and reduced scatter. 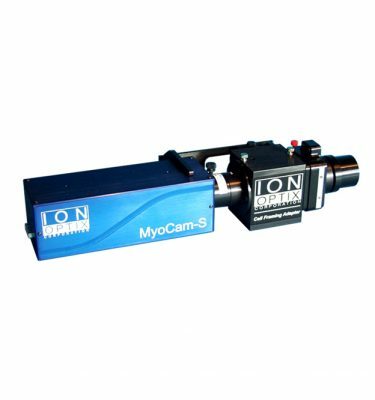 The latest version uses our own lens design to support the Larger Sensors of scientific CMOS and some EMCCD cameras. The instruments have a correspondingly larger aperture and improved off-axis correction to give enhanced performance with all sensors. Device drivers are included in most commercial imaging packages to assist registration and to allow real-time and offline ratioing, or fluorescence overlays. Alternatively, the OptoSplit can be used with simple image capture software and the processing carried out manually offline, or using our own MicroManager and ImageJ drivers. 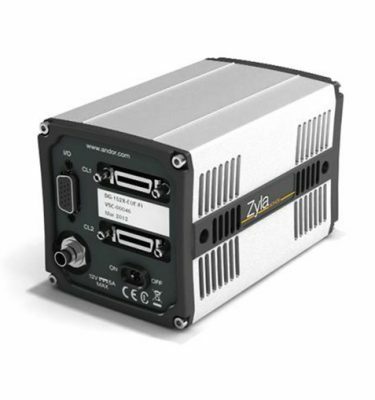 The simple and accessible design makes the OptoSplit II an excellent platform for alternative applications, such as dual polarisation imaging. 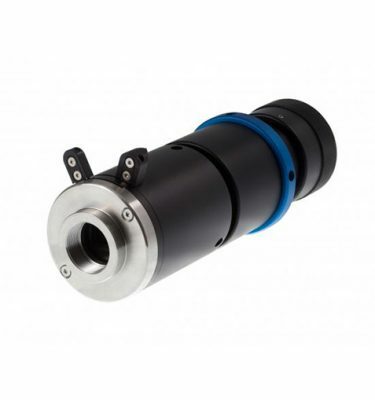 Whilst optimised for coupling to any scientific microscope, the image splitters can also be used with camera lenses or any other system of lenses which produce an image plane of suitable size and f/number (please ask for details).